Dunyvaig Castle sits on a peninsula close to Lagavulin Distillery. 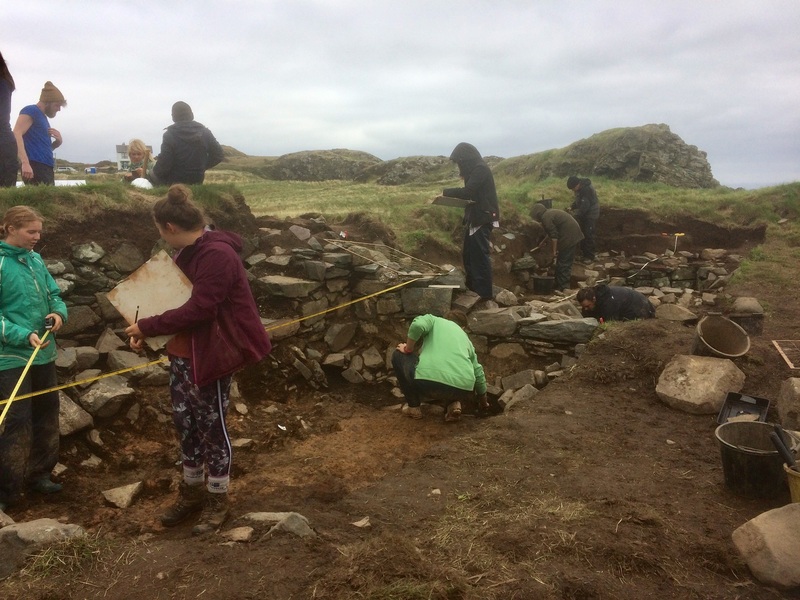 Funds for the excavation were raised during the distillery’s 200th anniversary celebrations, which saw the sale of more than 200 rare bottles of Lagavulin generate around £500,000. WELL DONE DIAGEO. The castle was built on the site of a much earlier Iron Age fort. Over the centuries Dunyvaig was held by the MacDonalds, the Macleans, and the Campbells. The first documentary evidence for the castle comes in the writings of chronicler John of Fordun in the late 14th century. The main island castle of the Norse-Gael Kingdom of the Isles, Dunyvaig has a rich history that reached its zenith in 1314 (back to this in a moment), a hundred and fifty years after the sudden death during an invasion of the mainland by the most famous King of the Isles, Somerled. In that year, hundreds of ships assembled before the men of Islay sailed to help Robert the Bruce completely rout the English at Bannockburn in 1314. Carrying the Sons of Somerled they set sail in aid of The Bruce, in a battle that heralded the birth of modern Scotland. 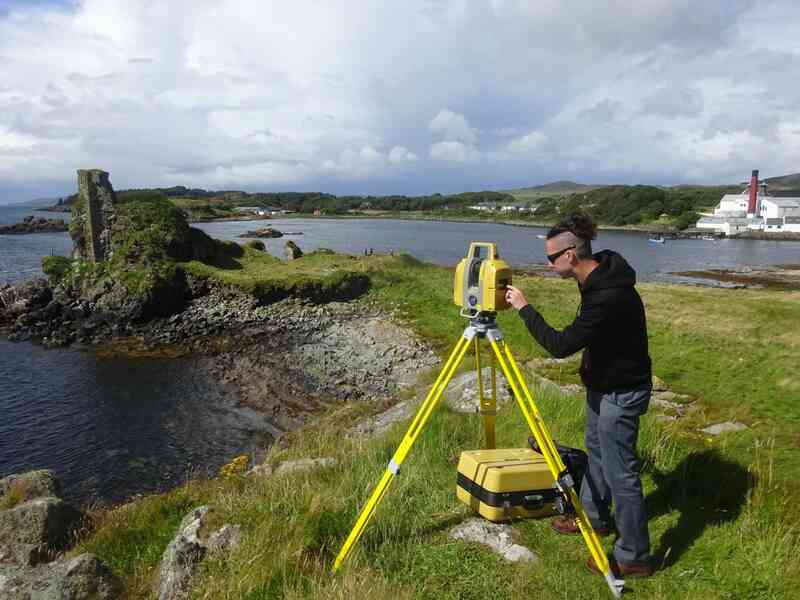 The castle (Dunyvaig ) whose ruins we can see today, was unable to resist two onslaughts in the early 17th century. The first took in 1615, after a long siege by royal forces under Sir Oliver Lambert, the last remaining power of the Clan Donald Lords of the Isles was finally broken, as the Campbells were given control over Islay. Even then, peace was a while in coming. Later that same century, when garrisoned by Royalists during the Civil War, Dunyvaig fell victim to a second siege in 1647 and was slighted by Sir David Leslie’s Covenanter army. Leslie had the MacDonald leader, Alasdair ‘Old’ Colkitto MacDonald (Mcdonnell), hanged from the castle walls. The castle was finally granted to Campbells of Cawdor for all their befriending and siding with the English, and served as the principle Campbell residence on Islay. The dreaded and much hated Campbells. I was lucky to be at the castle (and distillery) this August when the history digs were going on, It’s a grand place to discover on a nice sunny day, but do be careful. Meanwhile back in Scottish history … In 1493 James IV of Scotland broke the power of the Lords of the Isles and forced them to accept him as their overlord. Dunyvaig was forfeited to the crown, after which it was the subject of a tug of war between the MacDonalds and rival clans. The MacIans of Ardnamurchan (Maclean lands) took control, then the castle was leased back to the MacDonalds in 1519, then to the Campbells in 1543. Once again the MacDonalds took control in 1545, but James VI took the castle under royal control in 1596, but in practice the MacDonalds, under Angus MacDonald, 8th of Dunnyveg, refused to cooperate with the crown. In 1608 Angus MacDonald finally surrendered to a crown force led by Andrew Stuart, Lord Ochiltree. Stuart and Andrew Knox, Bishop of the Isles, were named constables. From 1610 the bishop was granted Dunyvaig as a life-rental if he supplied a garrison of 24 men under a captain. The Campbells held Dunyvaig until 1677, when Sir Hugh Campbell abandoned the castle for Islay House. 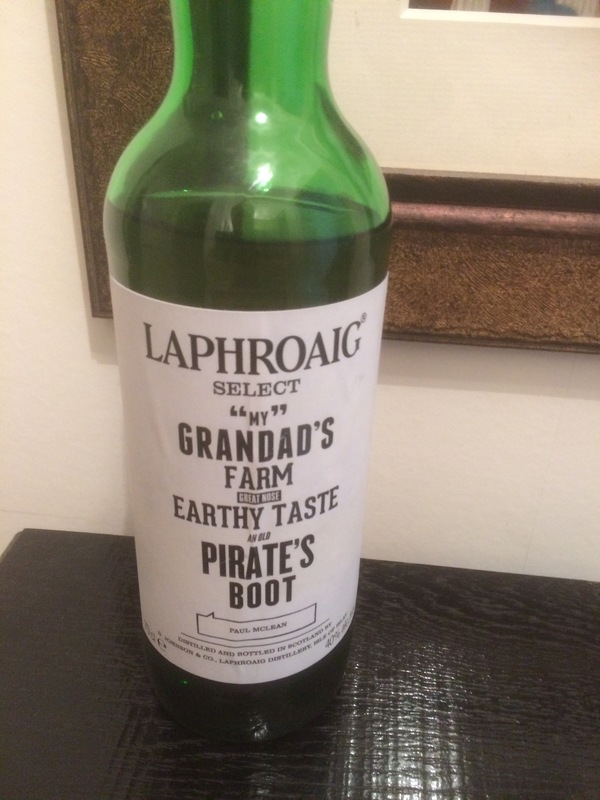 We take tours to Islay mainly for the whisky, but there is also a heap of clan history relating to Scotland and valuable in the historic records it is! We can take you to this castle, lochs and glens, ancient stones and sites, cairns relating to the Macleans who once owned much of the island.